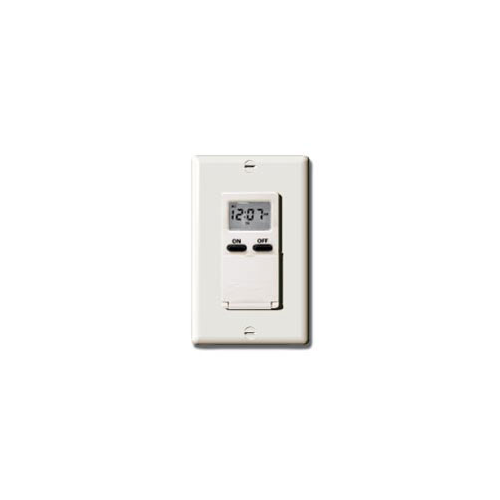 The EI500 series compact 7-day timers provides up to 7-ON and 7-OFF operations per week which can be used for 24-hour or 7-day load control of lights, fans, pumps, and other medium-duty loads for energy savings, security, and convenience. 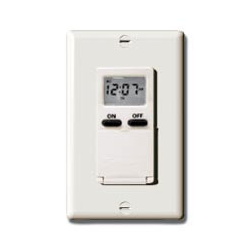 Its compact, quiet, low profile design is easy to program for to-the-minute 24-hour or 7-day control. In addition, the display continuously shows time of day, day of the week, timer load and the load status. Available in three colors white, ivory, and light almond. Replaces single-pole switches in a variety of applications.